03:30 P.M. to 7:15 P.M. The Gems and Jewellery sector in India plays a significant role in the Indian economy, contributing around 6-7 per cent of the country’s GDP. 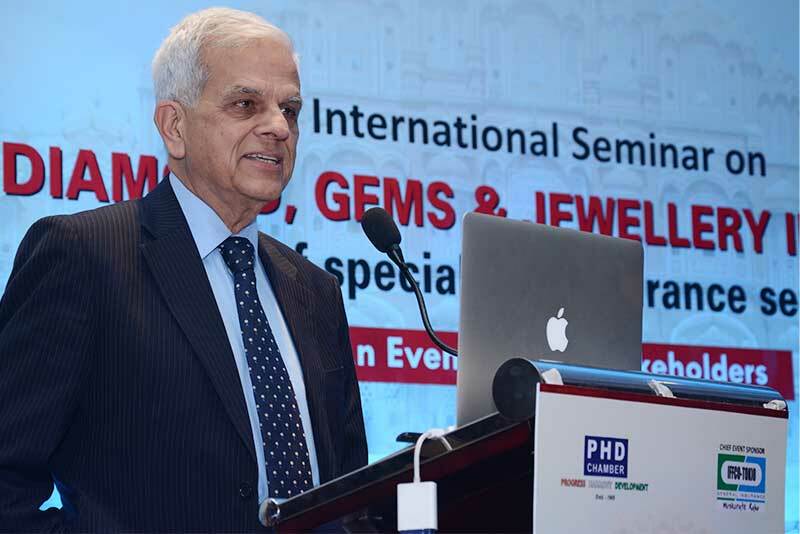 The domestic gems and jewellery industry had a market size of Rs 251,000 crore (US$ 40.45 billion) in 2013, and has the potential to grow to Rs 500,000–530,000 crore (US$ 80.59-85.43 billion) by 2018. The country’s gems and jewellery market could double in the next five years. Traditionally India is deemed to be the hub of the global jewellery market because of its low costs and availability of high-skilled labour. One of the fastest growing sectors, it is extremely export oriented and labour intensive. India’s gems and jewellery sector has been contributing in a big way to the country’s foreign exchange earnings (FEEs). Insurance cover is provided as a specialized service by certain insurance companies in India to safeguard the business interests of stakeholders and ensure protection against theft, burglary, losses and the unforeseen. Since huge money and investments are involved, the risk associated in this sector is of monumental proportions. The businesses of high value goods like jewellery or art can be devastated from a single incident evolving fire or robbery/theft etc. and can have a irrecoverable effect upon industry players those are not adequately protected. Insurance therefore provides all those who are trading in high value goods with the peace of mind needed to enable their business to operate effectively, safe in the knowledge that they are fully protected from such eventualities. 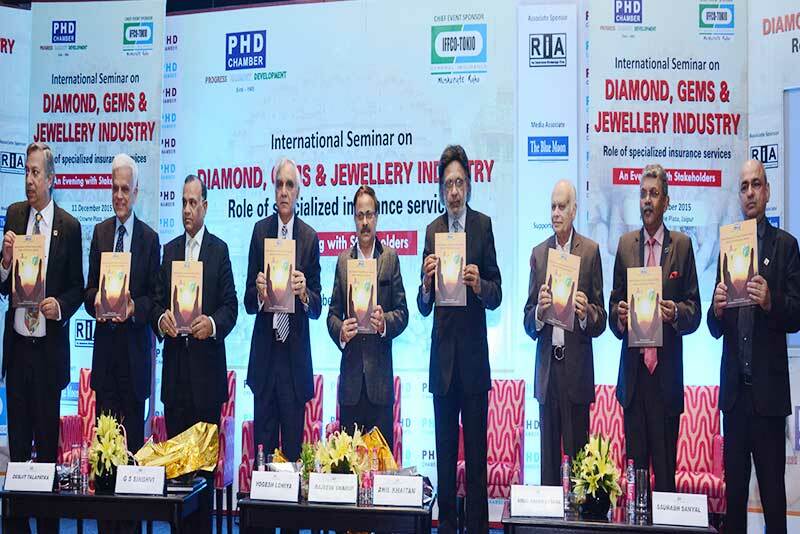 Additionally Insurance is extremely important for retailers, manufacturers or distributors handling high value items of diamonds, gems and jewellery. Uncovered losses can dramatically impact their overall business performance in long term. In addition to the usual risks covered for such high value items insurance plays a major role to safeguard stocks are in transit both domestic and global in nature. 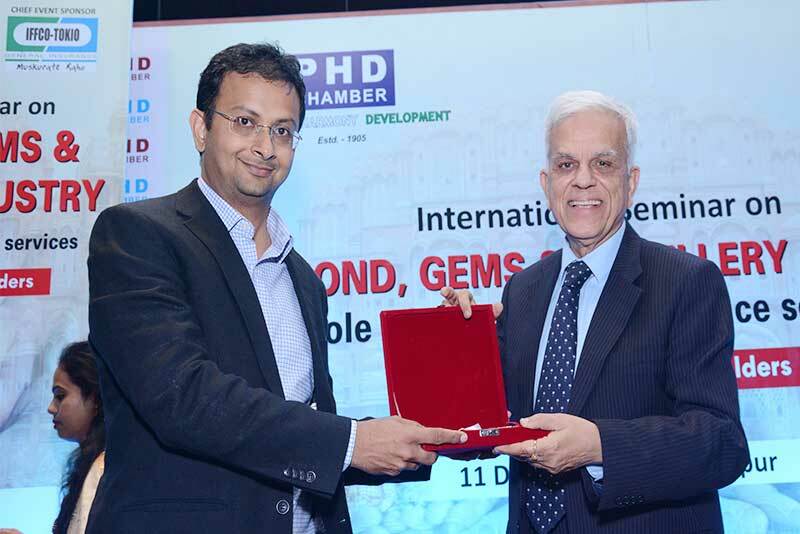 Gems and Jewellery industry of India being an important contributor to the national GDP requires special focus for the exporters. Insurance need to play a major role for the export houses to cover risk of exchange and currency fluctuation in gold, gems and jewellery. Also government policies on controlling gold imports needs to be addressed. Thus risk assessment and claims management is very important to facilitate the business health of stake holders. Supportive roles of banks dealing in the sector as well as specialized cargo movers and operator including airlines, valuers of diamond and gems are of vital importance. The re-insurer’s, surveyor’s perspective is also vital. 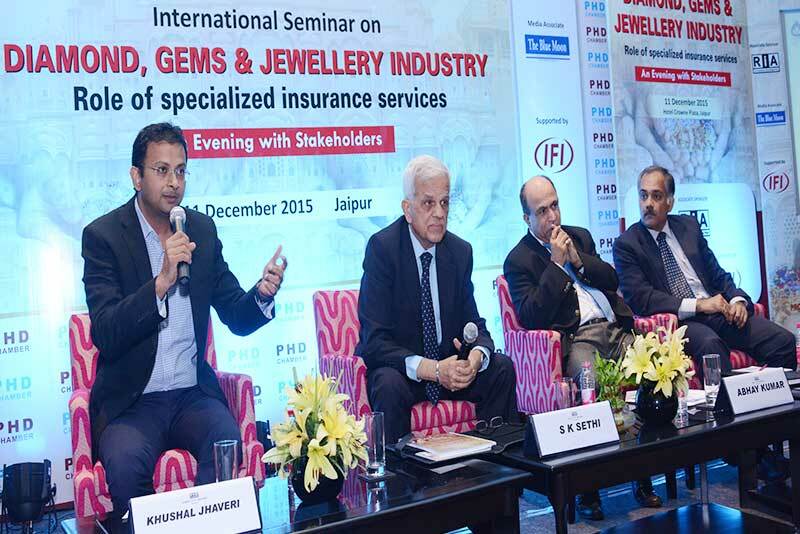 Against this backdrop and to deliberate on such issues PHD Chamber is organizing a International seminar on “Diamond, Gems and Jewellery Industry-role of specialized insurance services” on 11th December 2015 at Jaipur being a major hub of Diamond, Gems and Jewellery business of India. All stake holders shall have a unique opportunity to hear the experts and interact for business safety growth and prosperity. 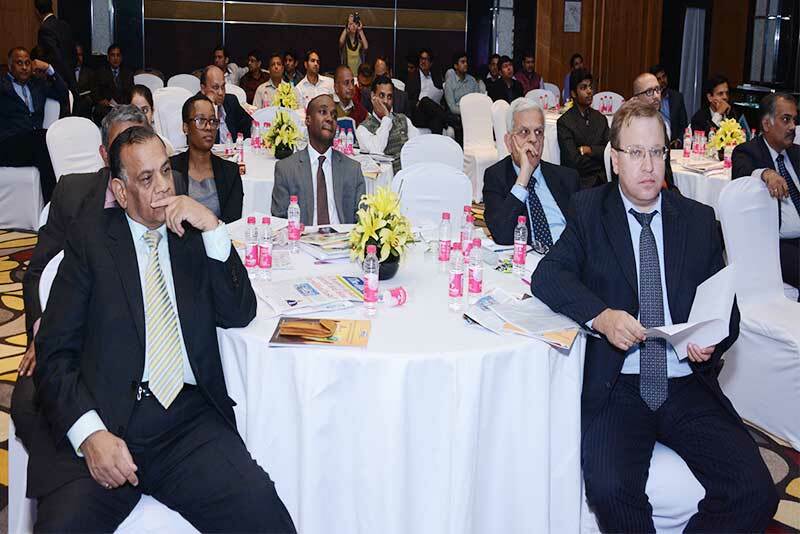 Eminent speakers with vast experience of insurance sector, re-insurer from overseas, businesses domains from India and overseas, experts from General Insurance Council, leading general insurance companies, Bankers, gems and jewellery valuer, insurance broking firms, surveyor, and representative from diamond, gems and jewellery industry would impart and share their knowledge and open to interact with participants. Role and importance of insurance in safeguarding business interest and protection against theft, burglary, losses and unforeseen threats (Riots/ Terrorism). 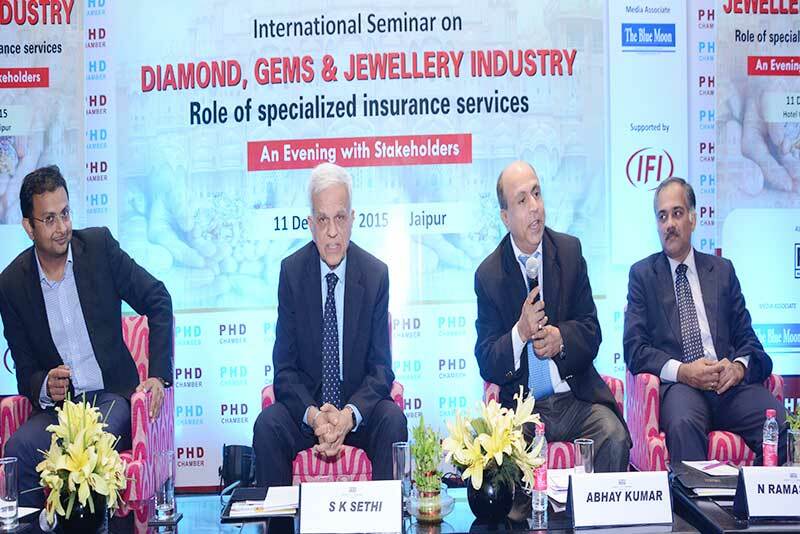 Describe the supportive role of insurers, re-insurers, bankers, valuers, cargo-airlines, surveyors, brokers in insuring high value diamond gems and jewellery industry so that this industry can grow to greater heights. 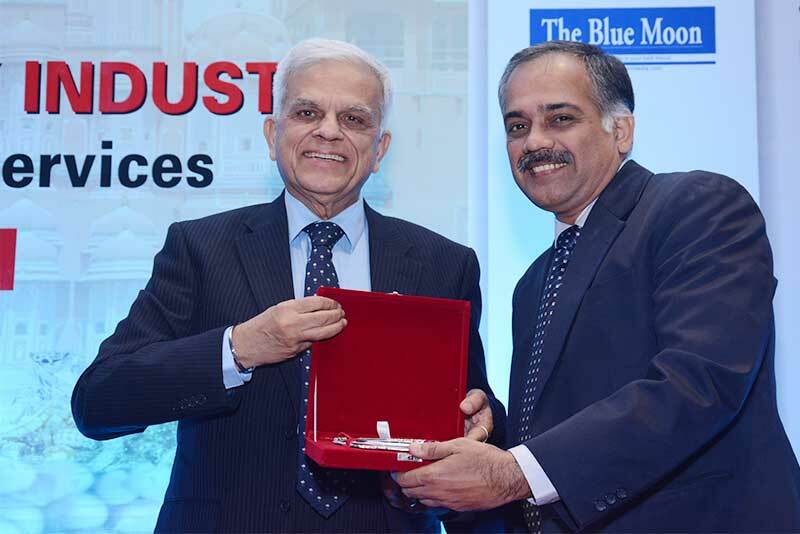 CMD, National Insurance Co. Ltd.